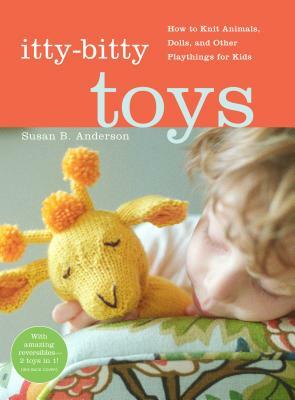 Susan B. Anderson is the author of Itty-Bitty Hats, Itty-Bitty Nursery, Itty-Bitty Toys, Spud & Chloë at the Farm, Topsy-Turvy Inside-Out Knit Toys, and the forthcoming Kids’ Knitting Workshop. She writes her popular knitting blog at susanbanderson.blogspot.com and teaches award-winning courses on Craftsy.com and at workshops throughout the country. Susan also has a YouTube channel with dozens of instructional knitting videos that can be found under SusanBAnderson. She lives in Madison, Wisconsin, with her husband and four children.